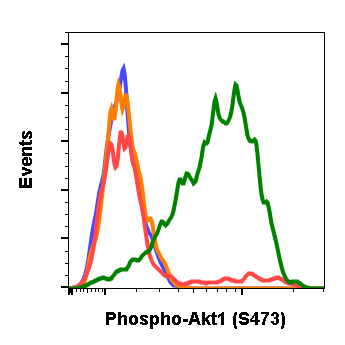 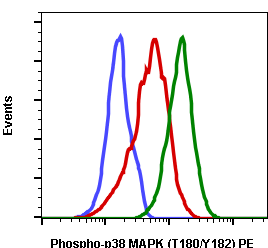 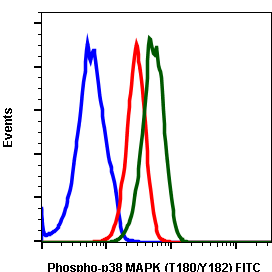 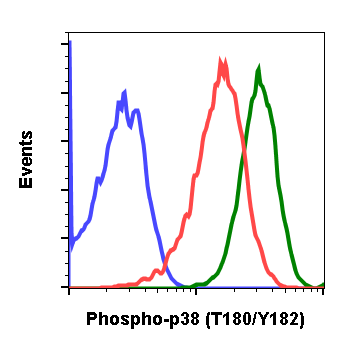 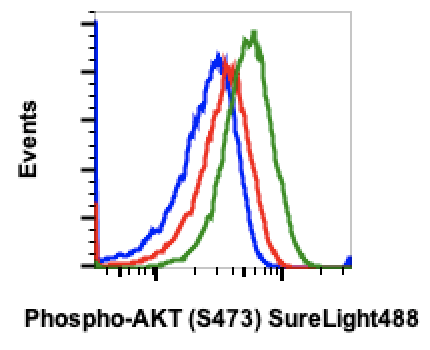 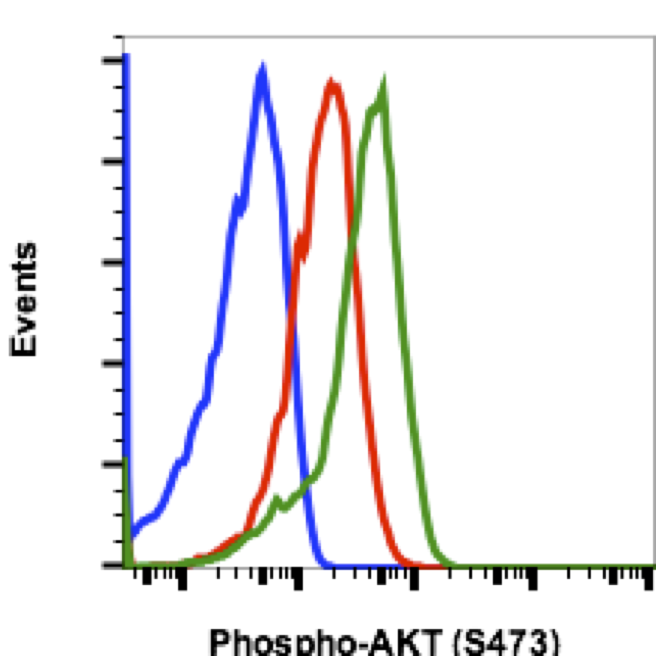 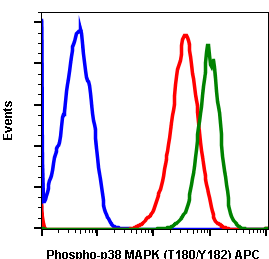 Flow cytometric analysis of C6 cells unstained untreated cells (blue) or stained untreated (red) or treated with staurosporine (green) using phospho-p38 MAPK (Thr180/Tyr182) P38MAPKT180Y182-E3 PE conjugate. Cat. 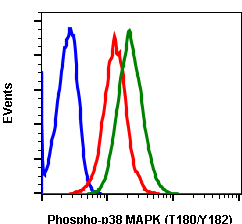 #1157.